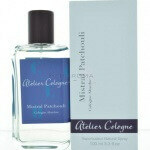 At MaxAroma we offer 18 perfume from Atelier cologne’s different collections. Fragrance notes are Green madarin, bergamot, tajete, orchid nigritella rubra, cinnamon, benzoin, cistus labdanum, patchouli, and tonka bean. Fragrance notes are Bergamot, Mandarin, Mimosa, Immortelle, Jasmine Sambac, Turkish Rose, Patchouli, Vetiver, and Sandalwood. Fragrance notes are Tunisian Neroli, Pink Pepper, Moroccan Orange Flower, Incense, Blond Woods, Musks, and Vetiver. Fragrance notes are Sicilian Lemon, Calabrian Bergamot, Blackcurrant Bud, Atlas Cedarwood from Moroccan Rif, Jasmine, Apricot, White Amber, Indian Papyrus, and Haitian Vetiver. 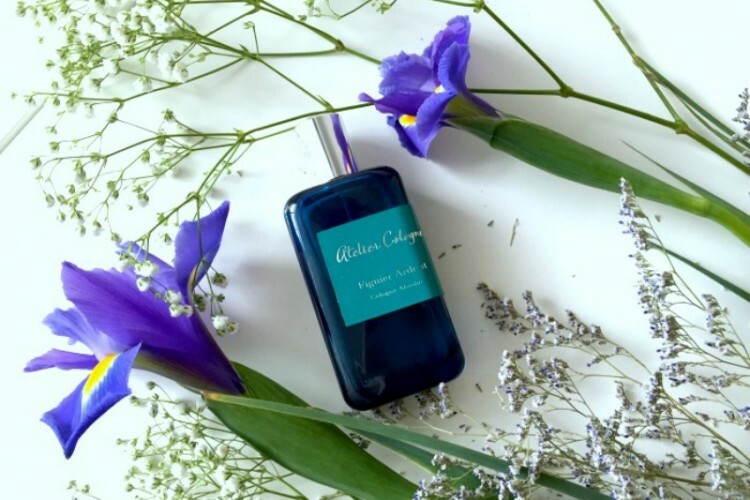 Fragrance notes are Calabrian Bergamot, Anise, Cardamom, Fig Leaf, Salty Fig, Pepper, Virginian Cedarwood, Tuscan Iris, and Tonka Bean. Fragrance notes are bitter orange, saffron, rum, plum, artemisi, eucalyptus, cedar, guaiac wood, agarwood (oud) and leather. Fragrance notes are Orange Blossom Flower, Herbs, Musk, and Vanilla. Fragrance notes are bergamot from Calabria, Tunisian neroli, freesia, oolang tea, jasmine from Egypt, blond leather, tobacco flower from the Balkans, gaiac wood from India, and musk. Fragrance notes are Pink Pomelo, Calabrian Mandarin, Blackcurrant Bud, Moroccan Orange Blossom, Bulgarian Rose Essence, Mint, Haitian Vetiver, Tuscan Iris, and Amber. Fragrance notes are Bergamot from Calabria, Ginger from China, Turkish Rose Essence, Turkish Rose Absolue, Incense from Somalia, Velvet Oud Accord, Patchouli from Indonesia, Papyrus from India, and Benjoin from Laos. 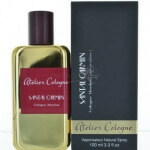 Fragrance notes are Bergamot, Limette, Saffron, Sandalwood, Gaiac Wood, White Musk, Papyrus, Cedarwood, and Vanilla. Fragrance notes are Tangerine, Pink Pepper, Blackcurrant, Violet Leave, Iris Pallida, Mimosa, Patchouli, White Amber, and Tonka Beans. Fragrance notes are Bitter Orange, Cardamom, Basilic Clover Absolute, Violet Leaves, Tunisian Neroli, Patchouli Moss, and Musk. Fragrance notes are Lime, Cedrat, Coriander, Jasmine, Vetiver, Oak Moss, Vanilla, Oak Wood, and Amber. Fragrance notes are Bergamot from Calabria, Lemon from Sicily, Heart of Bigaradier from Paraguay, Orange Flower Absolue from Tunisia, Violet Leaves, Black Plum, Heart of Vetiver from Haiti, Cedarwood from Texas, and Dark Oud Accord. 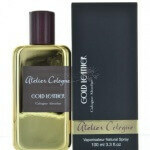 And up to March 30th, you can use the coupon code 5AT to get 5% off of Atelier Cologne.